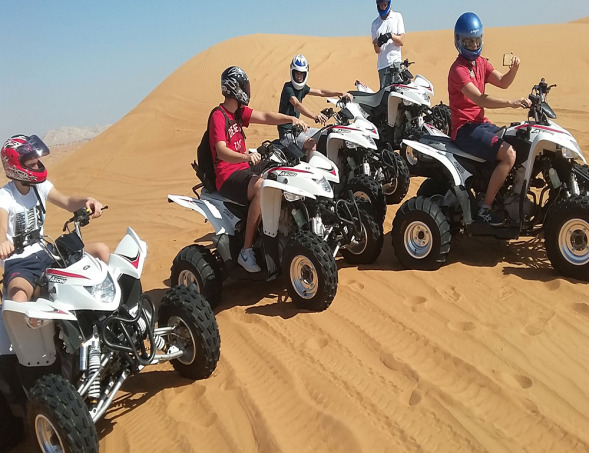 Witnessing These days’ tourists have started taking interest in Morning Desert Safari as there short trip to this tourism destination they want to enjoy all available activities at their maximum level. Dubai Morning Safari the best opportunity for such tourists. You will be picked up early around 8 to 8:30 am and will be taken to desert on 4 x 4 vehicles. Witnessing dawn in the desert is a whole new enriching and fulfilling experience altogether. A lot of our guests who don't have too much time during the day opt for this safari. The early morning safari in Dubai begins with our team picking you up from your doorstep at five a.m.The pro is that for the convenience of tourists, our valued guests can choose out of them according to their comfort.